Take storytime one step further by giving kids books a dreamy place to call home. 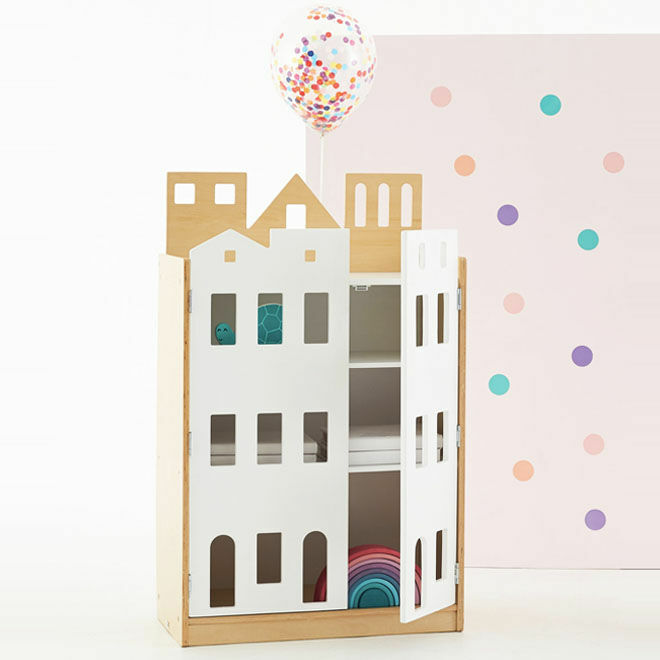 Whether it’s their favourite story or a new book they can’t wait to read, the Manhattan bookcase by HipKids is the perfect place to keep their treasured tales. Peek through the arched doorways and laser-cut windows to find books and games hidden away until its time to play. With a neutral palette of white and natural wood, this little number is a chic statement piece for the bedroom or playroom. Made from solid birch wood and non-toxic, lead-free paints the Manhattan bookcase is as sturdy as it is stunning.